Wiise will streamline the way you manage your business. 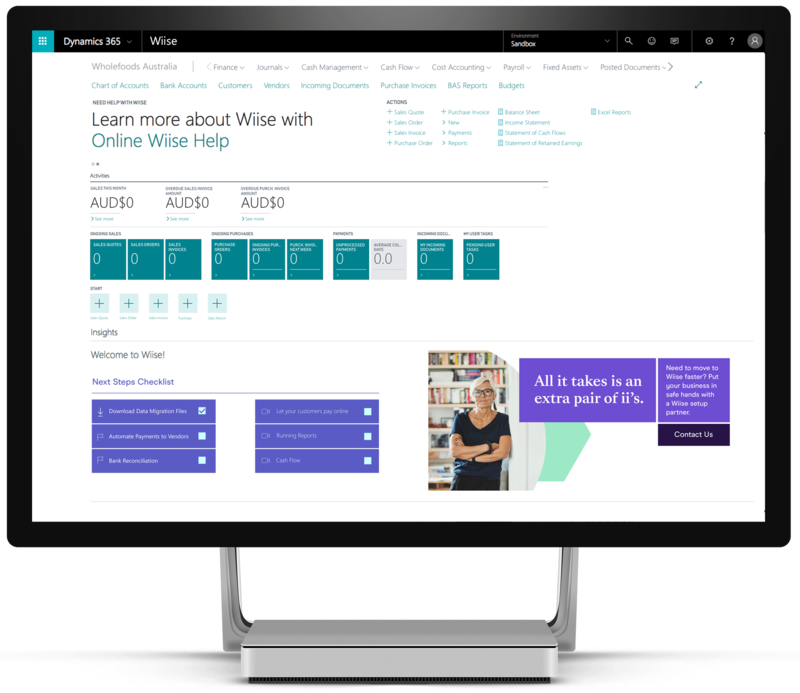 From accounting and inventory to forecasting and machine intelligence, Wiise is the clever finance and operations software your business needs. Spend less time on admin and more time on building your business with Wiise, financial management software for accounting and operations. With built-in automation for common processes and operations, Wiise can make your life easier and your business run smoother. Wiise allows you to customise its dashboards, reports and tools, so you can work the way you want to. 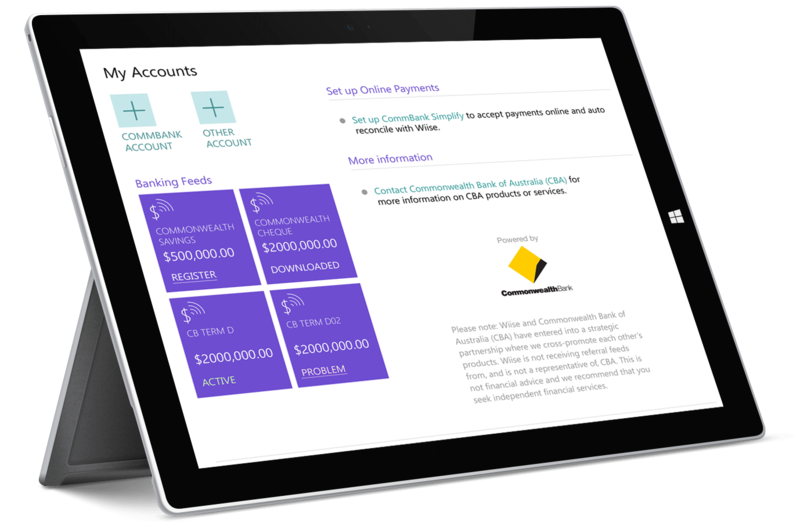 Integrate your banking and Microsoft Office suite to maximise efficiency. 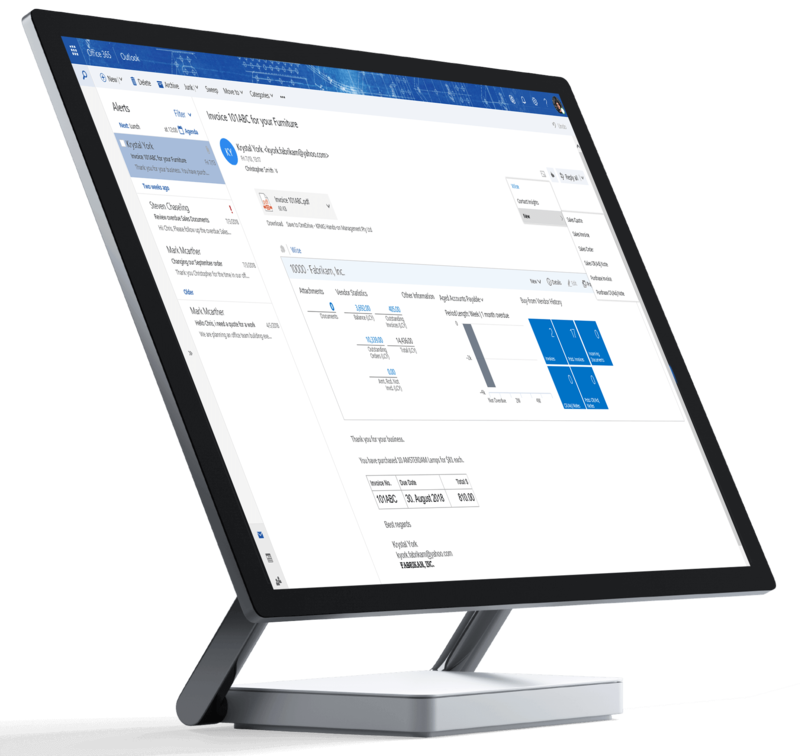 Create and send invoices from Outlook, view sales invoices or click-to-pay invoices all in one hub. Wiise is more than an online accounting software. With customisable solutions to unlock, we’ll grow with you. Get Wiise starting at just $49.00 per user, per month! Contact us for your free 30 day demo environment and see how Wiise can transform your business operations.